Connecting people and art through code. 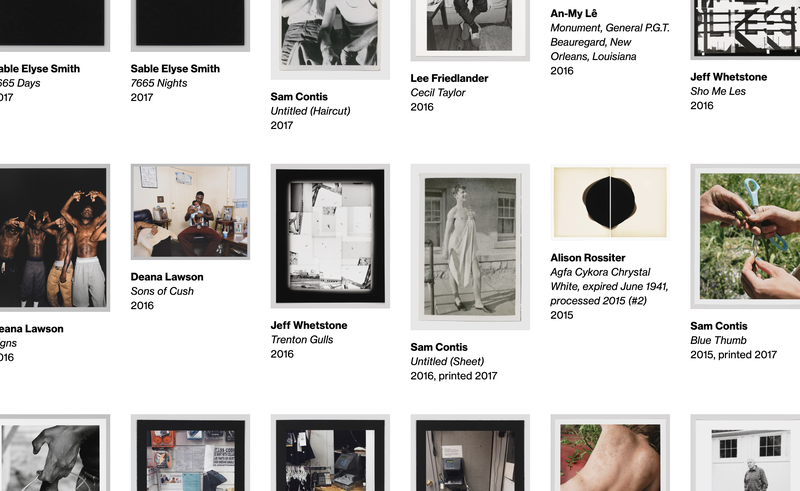 A blog post about developing and quietly launching a new and improved version of the Whitney’s online collection. Blog post written by Sofie Andersen on a Progressive Web App we developed to replace our existing audio guides, and align the online experience with the in-person one at the museum. Blog post on Whitney Digital covering some of the ways we look at our online exhibition data, and single question surveys. I was part of a presentation at MCN 2018 on a visitor motivation survey (VMS) we ran on whitney.org. As a group we covered the context of motivation-based surveys at museums and some key learnings for the Whitney, both in results and in strategy. 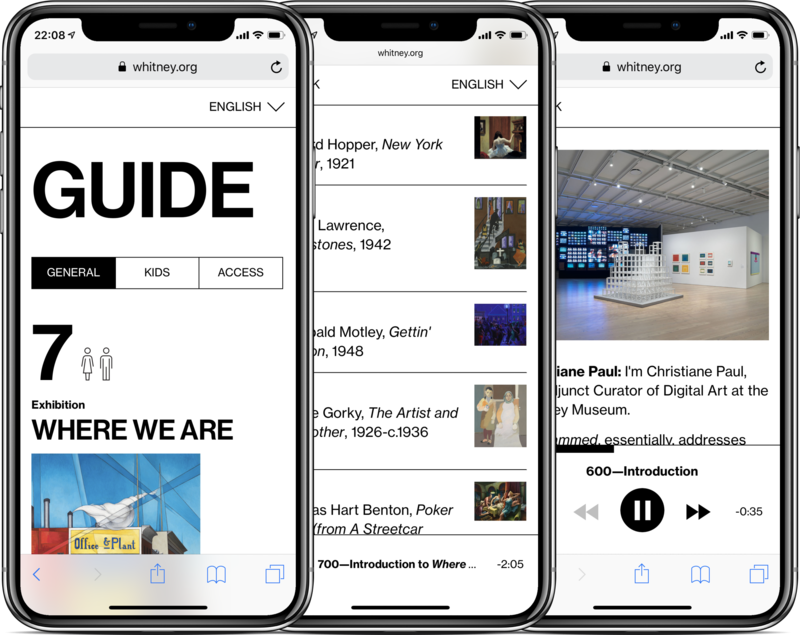 Blog post on Whitney Digital that discusses the design and development process for a feature aimed at giving users an at-a-glance view of what’s going on at the museum. 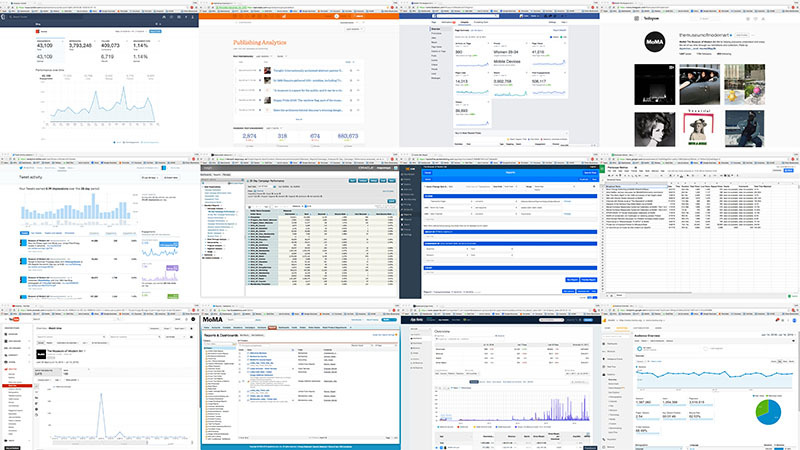 Blog post on Whitney Digital about A/B testing and experimentation around whitney.org. 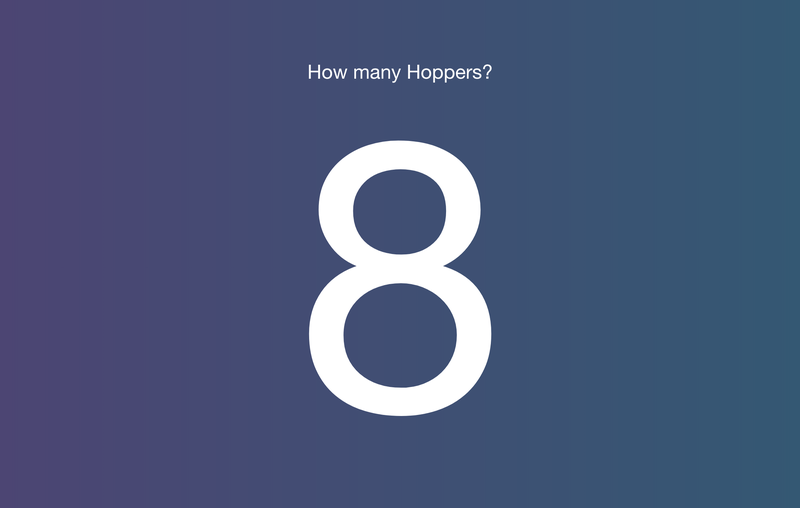 An up to date count of the number of works by Edward Hopper currently on display at the Whitney Museum of American Art. An animated mapping exploration of the Washington Post’s fatal police shooting dataset. 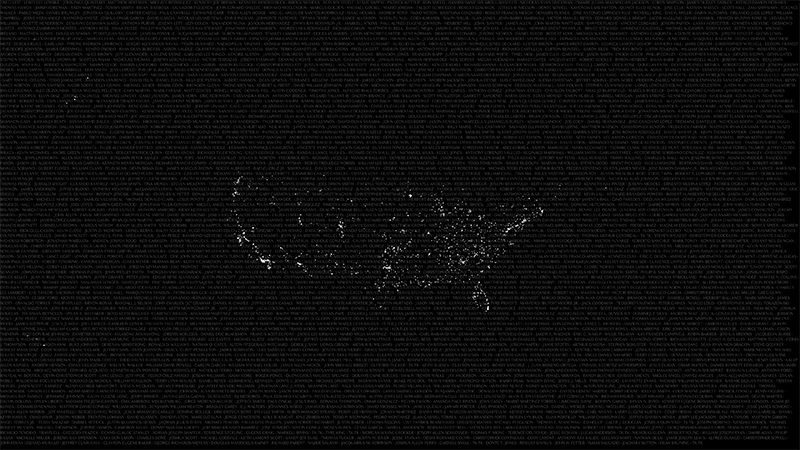 Locations are geocoded through the Google Maps API, and build up a familiar image of the United States. Blog post on Digital @ MoMA about my time with The Museum of Modern Art, working on a data analytics, data collection, and dashboard creation project. Mixed media enlargement of an imagined neuron, incorporating generative audio and video, projection mapping with Kinect and OpenCV, chicken wire, stainless steel, and acrylic. An experiment in teaching about the concept of recursion to new audiences using an animated Sierpinski triangle. Learners read a brief sequence of paragraphs describing recursion while the animation played alongside, then answered a brief survey on the topic. Continued exploration of deconstructing spheres, limited color, galaxy-inspired movements and shapes, and generative growth. 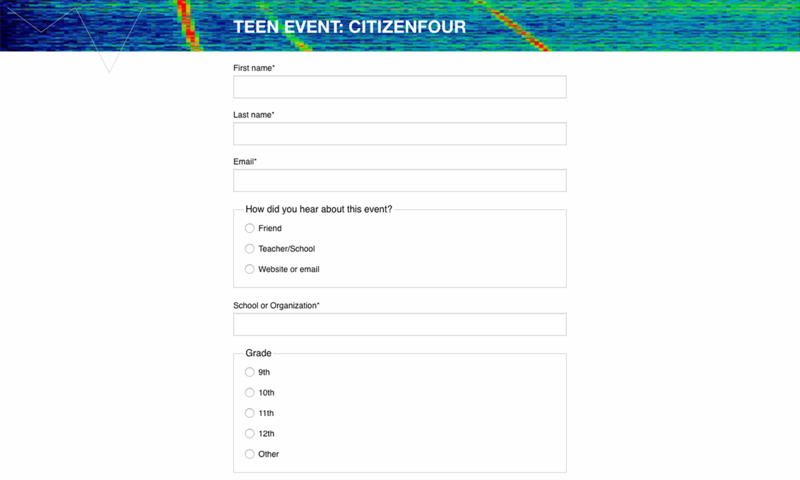 A smarter sign in form for Whitney Museum teen events. Parses acronyms and commonly mis-entered information, aggregates data, and pushes it to a central Google Sheet. Early exploration of deconstructing spheres, galaxy-inspired movements and shapes, and generative growth. Essay on artistic development presented alongside an animation of children developing the discussed skills. An experiment in translating a piece of the human form into digital code. 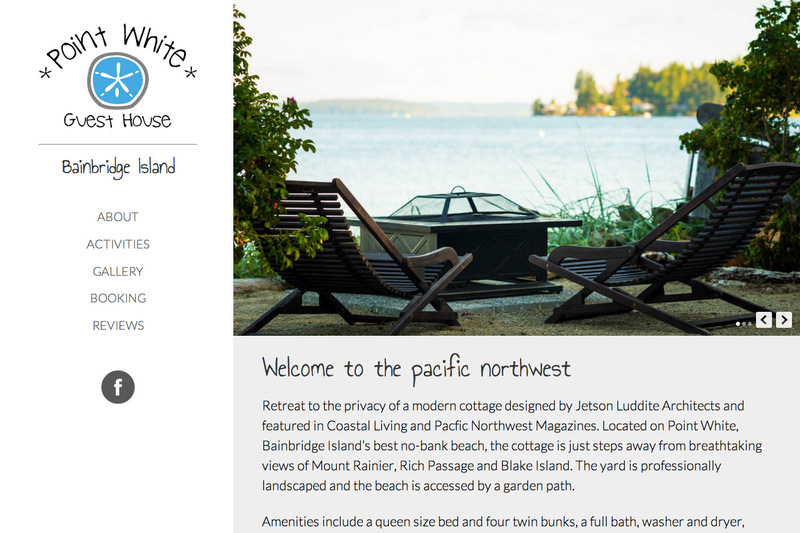 A website and photography for a rentable cottage on Bainbridge Island, built on WordPress. 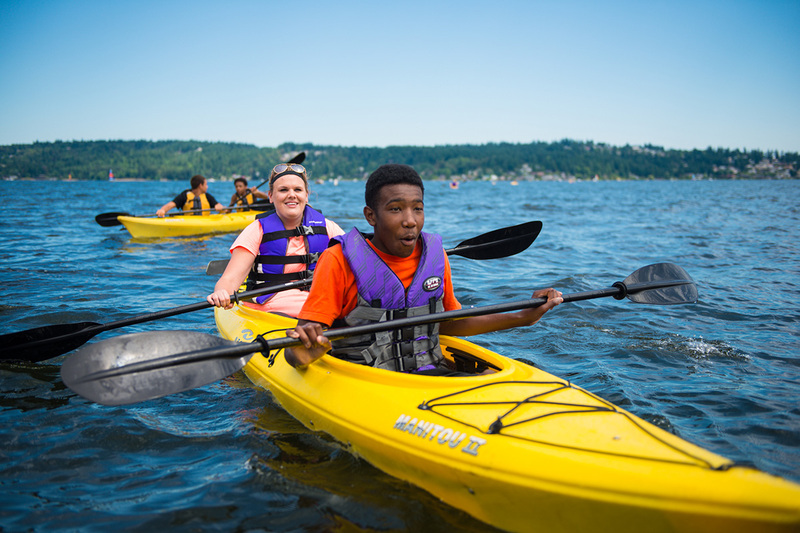 A new website for Renton Area Youth & Family Services, incorporating responsive design, client interviews, and new photography.